The installer will create a new database using the "sa" account. You need to configure your SQL Server to allow SQL Server authentication. In addition, you need to make sure the "sa" database administrator account is enabled and has a non-blank password. If you don't have SQL Server or don't know how to do the above, click here. If you are running Windows 2008/2012, make sure both of Web Server Role and Application Server Role are installed. If you are running Vista, enable IIS first. Then, download IIS Web Deployment Tool for x86 or x64. Install it. 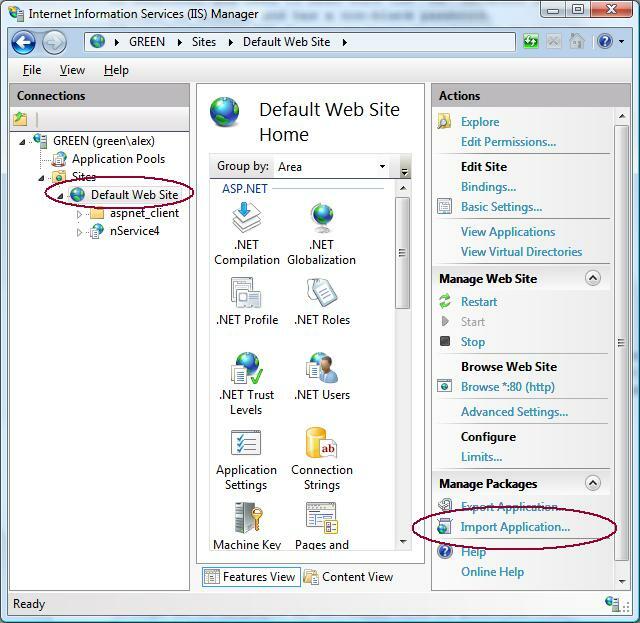 Make sure "IIS Manager UI Module" is selected during the installation. Otherwise, the "Import Application" command in the next step will not show up in IIS Manager. If your computer already has Web Deploy 3.5 installed, go to Control Panel, Programs, select it and click the Change button. Then enable the "IIS Manager UI Module". Download nService4.zip (7M). Go to Control Panel, Administrative Tools, run IIS Manager. Select the website you want to run nService under, click the Import Application action on the right panel. When prompted, select the nService zip file you just downloaded. 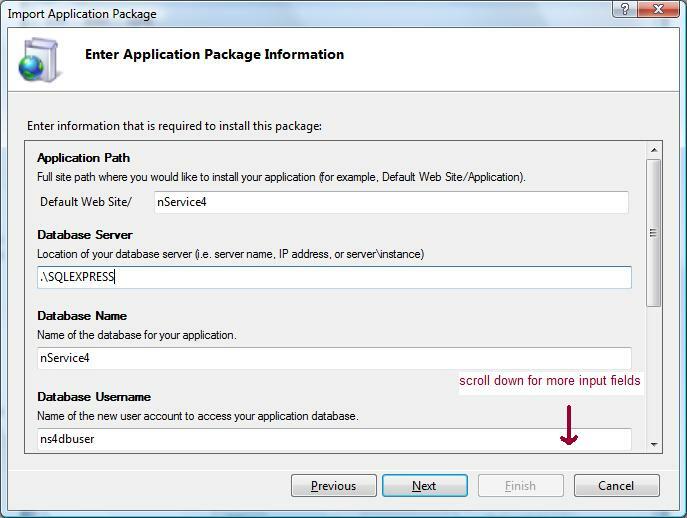 Make sure you select "Create New Database" during the installation. Make sure the IIS application pool for nService is .NET 4.0. If you receive the error "Could not load file or assembly 'Microsoft. SqlServer. ConnectionInfo...", install SQL Server Management Objects , then retry the import.